I had peace that I was done. 5 dossiers, 2 country closures, 7 years of waiting and being in the adoption process. At the end of 2016, shortly after being registered for court for Mohini, 7 different people asked me if I was going to adopt a 4th child. My answer to all of them was the same, "It's not that I wouldn't love to parent another child, but I just don't have it in me to go through the process again. It's arduous, stressful, and the waiting is excruciating." The last person to ask me if I was going to do a 4th, was my caseworker who has been an integral part of bringing all three of my girls home. I told her that I would never say no to God, but he would have to use a lightning strike to make it obvious that he wanted me to pursue another child. We both laughed and went on with our conversation. 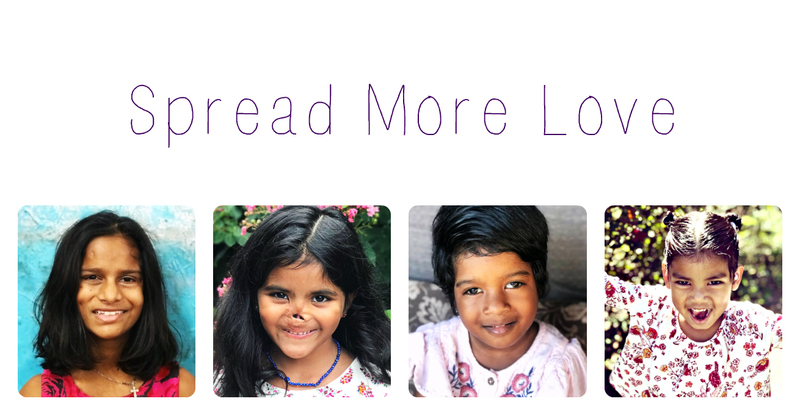 Early January 2017, the day after Munni Bird's eye surgery, I was on the India board and an adoptive mama asked if anyone knew of a child with limb differences. She was hoping for a referral. 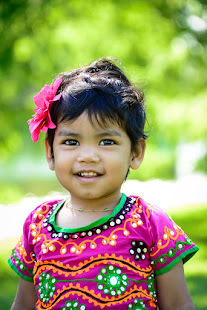 Back in April 2016, when I was assembling my home study for my 3rd Indian adoption, I found a little two-year girl who absolutely stole my heart. She was missing her left arm. I tried and tried for the little two-year-old, but the orphanage never responded to any of my caseworker's requests for information. Sadly, I knew she wouldn't be my daughter. I never stopped praying for her though and eventually, I found out that she was finally matched with a family in December of 2016. The agency who advocated for the little two-year-old, also advocated for another baby girl; she was born without an arm and the other was malformed. She was much younger than the age for which I was approved, but her sweet face stuck in my memory. 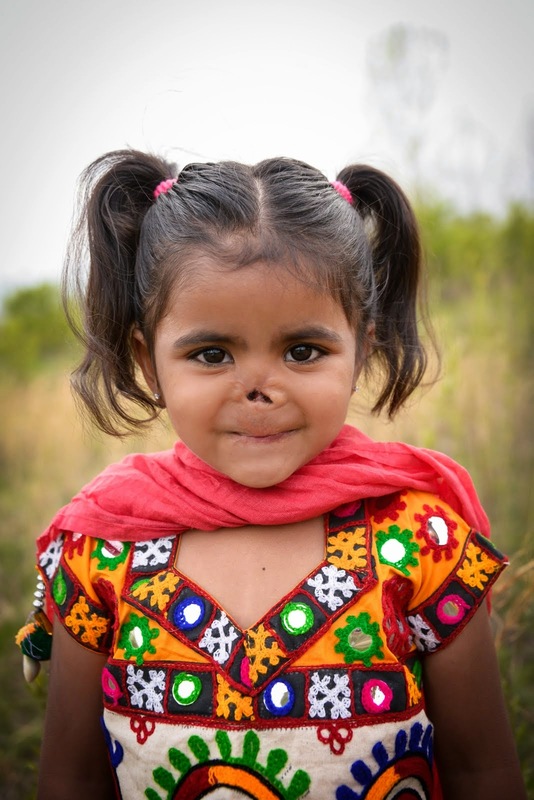 When the woman on the India board asked about a child with limb differences, I immediately thought of that little baby and went to investigate if she was still available. I scrolled quickly through the files, looking for that particular baby girl. And then God stopped me in my tracks. A little face stared back at me that resembled Munni's referral picture. I felt a little zing. I clicked on her reference number and read the short description about "R." My heart started beating quickly and I knew God was doing something. What he was doing I hadn't a clue, but one thing was sure, he stirred my heart. I continued looking for the baby, but she was no longer listed. This meant that she had been matched! I could not stop thinking about "R." I prayed and prayed and prayed. I felt a heaviness leave me and it was replaced with a sense of surrender and peace. Who was I to say no to God? I thought about how long Munni waited for me to find her. Family after family passed over her. I realized through "R's" picture that if God wanted me to pursue another child, I would do it. I would not fear love. He calls us to love one another, and even lay down our lives for those in need. He is the one who would give me the strength to complete it. I continued to pray for "R." After a few days, I sensed God pushing me so I finally asked for her file. I opened the email and clicked on the attachment. It was another little girl. It was Our Little Sparrow. I read her file and my heart broke. She had suffered a horrific injury. I sat back in my chair and thought about several events and circumstances that occurred in my family. It was the very beginning of me hearing God whisper that we were a perfect fit. I advocated intensely for "R." I have a team of prayer partners who are committed to praying for the little ones that I bring to their attention and they prayed for her as well. Her medical needs were severe and on top that, she was in a very difficult orphanage, known to be cantankerous towards adoptive parents and purposely slow in their end of the process. A month after seeing her face, I was informed that she was matched with the most perfect family for her. One of the parents is a neurologist and has a firm understanding of her medical needs and the complexities that accompany them. When I got the call, I cried tears of joy. What a loving God we have that he orchestrated the perfect family to come forward for her! Our Little Sparrow still weighed heavy on my heart and I continued to pray for her. I was in no position emotionally or financially to even consider another adoption, but a little seed had been planted in my heart. I continued to water it with prayer. While in Delhi for Mohini's adoption, we ended up having to go to the central office of the department that approves every single adoption in India ~ whether domestic or international. It was a spiritual experience for me. I couldn't believe I was standing in the place that is responsible for allowing children to find their forever families. I thought about all three of my girls, the paperwork, the tears, the prayers, the waiting. I spent 45 minutes in that office and during that time, I prayed for every single family I knew who was waiting for approval. I prayed for Our Little Sparrow. 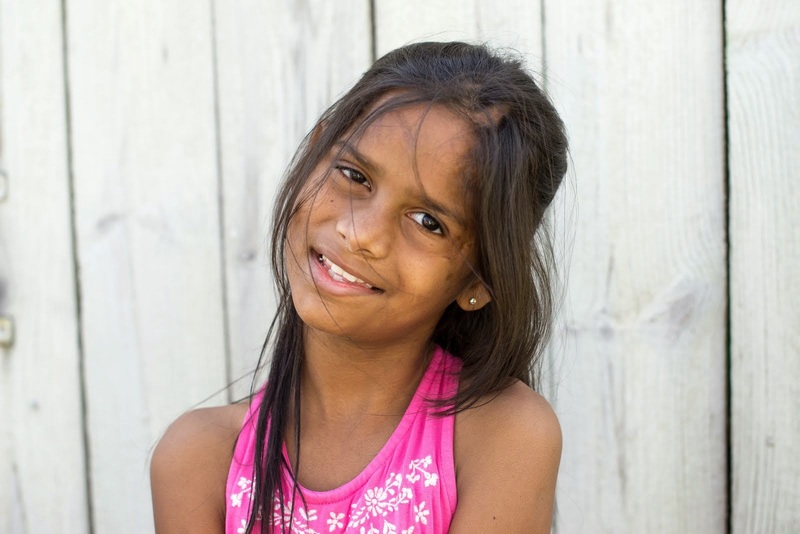 I prayed that her forever family would find her... and if we were her family, that we would receive great favor from the Indian government. It was a holy experience. May 26th, I had a prophetic dream about Our Little Sparrow. I woke up knowing immediately that God was giving me a message. I asked my friend to have her prayer team interpret the dream. I was blown away by their responses. In addition, they told me several key truths to hold onto as touchstones. A week after their interpretation, one major touchstone came to fruition in a very public way! I was astounded! I continued to pray and trust. I was still months away from being able to start the process and yet, there she remained on the waiting list, where she had been for over a year. September 7th, I contacted my home study agency and told her that I was going to do one more adoption. I had NO idea how this would come to fruition, but I knew I needed to continue walking in faith. I called several adoption agencies, but one in particular. This agency had been advocating for her since before I found her. The intake counselor suggested that I have their India program director reach out to the Indian government to see if they would allow me to pursue her adoption being a single parent with three children. She didn't want me to invest money in the event they said no. This sounded great to me! She said we should hear back in 2-3 days. A week passed and I didn't hear anything. I emailed the program director and she told me we should have heard something by now, so she emailed again. Another week went by and still no news. September 18th, the girls and I went to The Ark Encounter with my parents. As I walked through the levels of that humongous boat, looking at all of the details that went into the construction of it, the design, the planning, God once again stopped me in my footsteps. It took Noah more than fifty years to build the ark. I could not even begin to imagine the ridicule, the waves of doubt, the scorn, moments of weakness, and fear Noah must have felt. How many times did he think himself a fool? No one in his village had ever seen a body of water that would accommodate a ship that size. In spite of all that, he walked in obedience building that ark; and through his obedience, he became the vessel through which God saved humanity. I sat on a bench and fought back tears. God asked me for my obedience and I stumbled. Many, many times, God calls us to be obedient to things that look insane to the world. It's in those places where we see God show up and display his magnificent glory and power. God gave me touchstones and I cast them aside. In humble realization, I emailed the agency and informed them that I was officially applying for the India program. I knew in my heart that I would not hear a word from India until I committed. God was testing my faith and it was my turn to step out of the safety of my plans and leap into the glorious place of faith, the substance of things hoped for, the evidence of things not seen (Hebrews 11:1). I went home, completed the application, and mailed the check. September 27th, I was officially accepted into the India program. Today, October 5th, I received an email from the Indian program director. She informed me that she talked with the Indian department since she never received an email back from them. They told her I was approved to move forward with Our Little Sparrow's adoption and upon my home study being uploaded to their website, I will be officially matched with her. What an amazing story our God is writing for this sweet, precious child! Such a beautiful testament of his faithfulness! So excited to watch your journey continue!! I’ll be praying for your whole family as you change and grow with this little addition!